I haven't mentioned buying this cleansing water on my blog. I've been using it for a month or two now, and I wanted to make sure I used it a lot before I shared my opinion on it. The purpose of this product is to cleanse, remove make-up and soothe the skin. You've probably seen many bloggers hype up the likes of Bioderma, whilst others have been looking for a drugstore dupe. I haven't used the former so I can't compare but I love how clean my skin is after using this. I use it when I get home from work, putting the solution on a cotton pad and rubbing it across my face to get rid of oil and make-up. It's pretty perfect! It leaves my skin feeling refreshed and ready for bedtime. I love me some Lush! With the changing of seasons, my lips have been increasingly dry lately. I've been wearing more lipstick so naturally my lips have suffered. I bought Lush's lip scrub after hearing great things, and it smells delicious, so I quickly snapped it up. It contains caster sugar and jojoba oil to exfoliate and scrub away dead skin. I've been using this before I apply lipstick and it has really helped its application. My lips are in the best condition they've been in ages and I definitely attribute that to this scrub. You should know by now how much I love Revlon's matte balms. I posted a review of it last week, which you can find HERE. Striking is one of the four I own. I'd describe it as a cherry red, much better than a vamp red. I hate wearing red lipstick because I think it can look quite trashy if it's not done right. But I absolutely love this balm. The cherry shade makes it more subtle than your usual bold red lip, achieving the same eye-catching effect. Breakouts have been getting me down this month. I have blemishes covering my jawline and it's making me really self conscious. I knew I had to try something new so I picked up Lush's spot treatment. The website lists its ingredients: 'infusion of antibacterial and antiseptic rosemary, thyme and tea tree, as well as antioxidant-rich grape juice and witch hazel, which is astringent and anti-inflammatory and is said to sooth redness.' The central idea of this product is to attack the spot as it's about to erupt - rather than waiting for one to sprout. I've been using it all over my jawline and I have't had any spots for weeks. 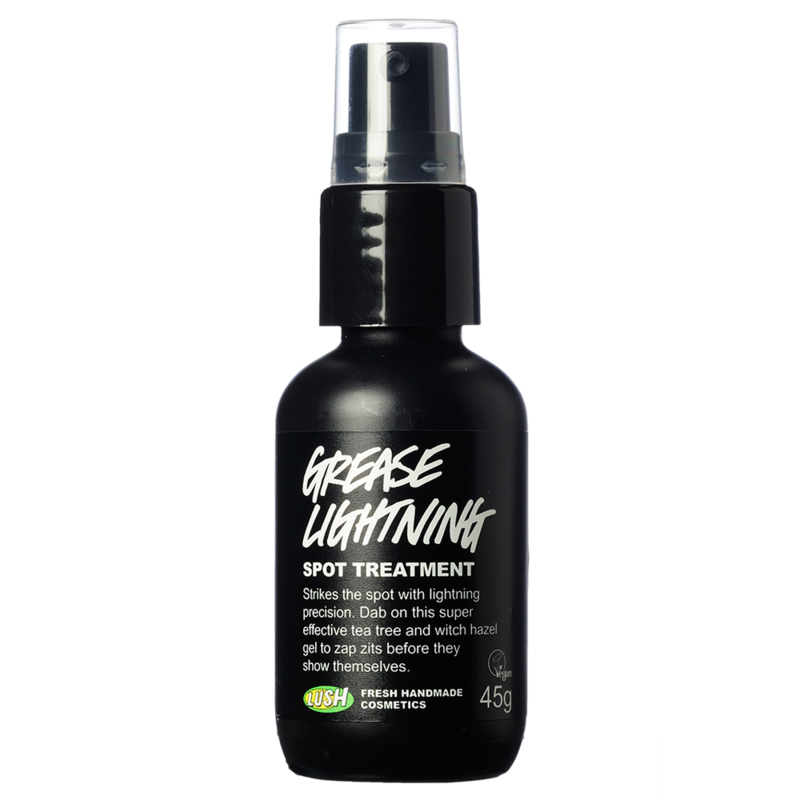 The ingredients seem to work perfectly on my skin, and is everything I've been looking for in a spot treatment. My only problem is the pump doesn't control how much product comes out so you end up using more than you actually need. Luckily for me, I have lots of spots so I can use up all the excess product released from the pump (haha). Words cannot describe how much I love watching Essie Button's videos and reading her blog posts. Her vlogs, featuring her boyfriend Aslan and dog Reggie, are amazing and give you an insight into their life together. When she's talking about beauty products, how to achieve curly hair or doing a Q&A; she comes across so natural and funny that you feel like you're listening to an old friend. She's beautiful, funny and never fails to cheer me up when I'm having a bad day, both through her posts and her YouTube videos. Check out her blog HERE, and her Youtube channel HERE. I promise you'll be occupied for hours! Love this post and, more importantly, love your blog! It's so clean and professional and your photos are such high quality! 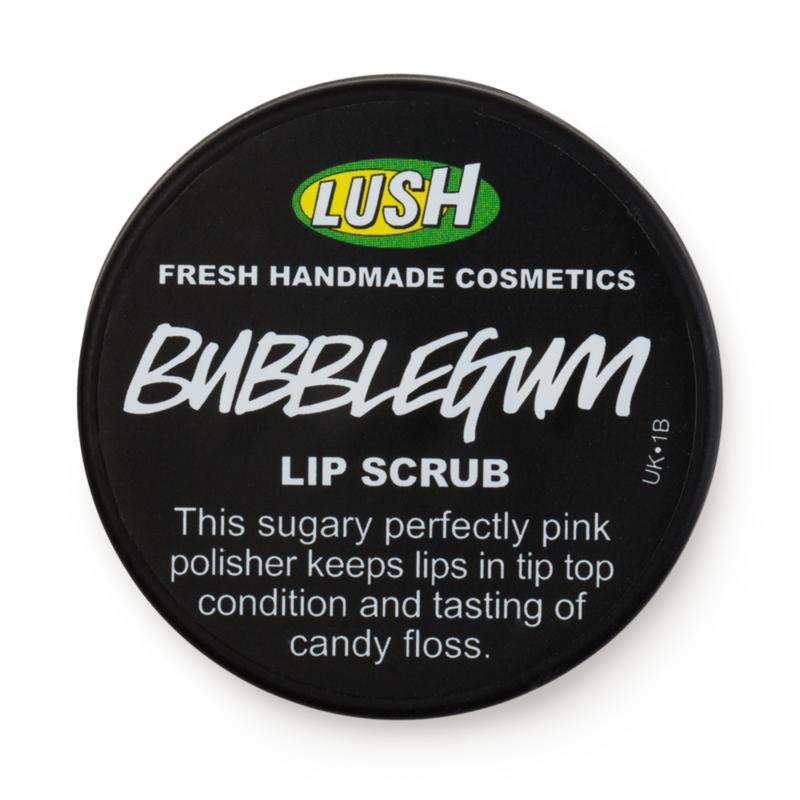 I love Lush and have been debating getting a lip scrub, so I may just treat myself - I always wondered if using a dry toothbrush would be cheaper and would get the same effect - what do you think? 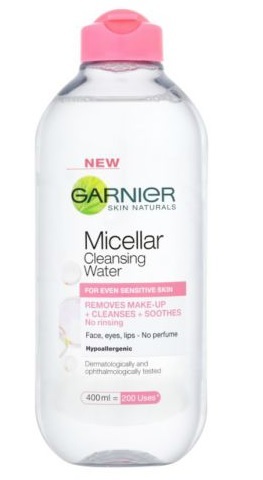 I'm really tempted to get the Micellar water too - I use cleanser and toner and it's a huge faff - this sounds easy to use and very pure! My Revlon balm is also in my favourites this month, and I may have to hunt down this shade. Thanks for sharing your favourites - I love finding new things to try!